JVR tips are most commonly used for the Tecan MCA96 head. But with the JVR tip cone the same rack or nest of tips can be used for both the MCA and LiHa arm. Tips are made from a proprietary polypropylene resin and certified DNase, RNase and DNA free. Sold exclusively through Konnis. Tips may be purchased racked resting in a deep well plate or a nested stack to conserve deck space. They come in standard clear or conductive, non-sterile, unfiltered. (Filtered tips can not be nested). JVR Scientific robotic tip cones are engineered to fit both the Tecan 96 channel MCA head and the Tecan Liquid Handling Arm (LiHA). 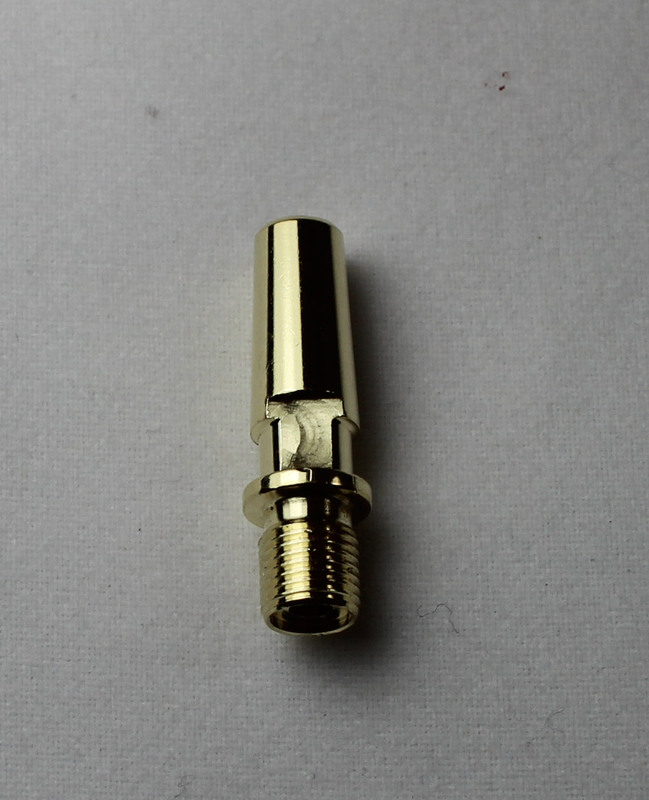 The tip cone is solid brass and easily screws into each tip replacing the existing cone.